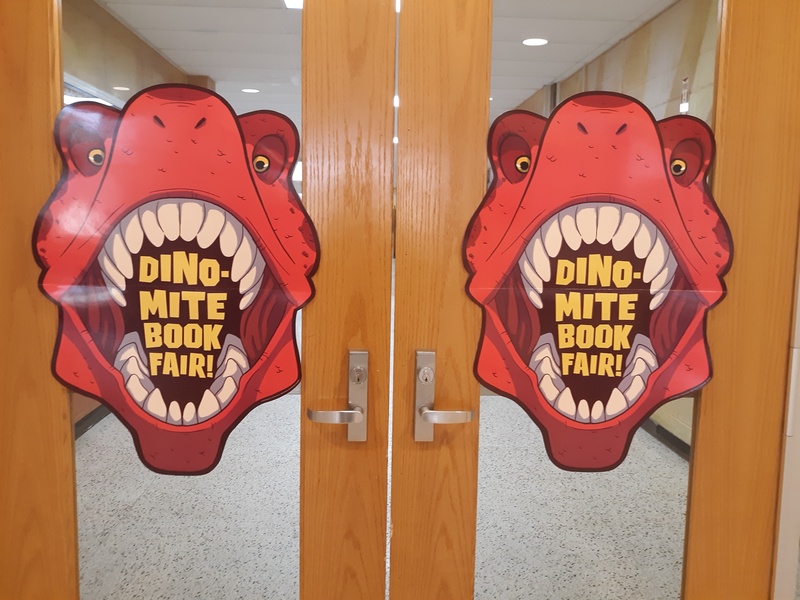 It’s Book Fair time again! 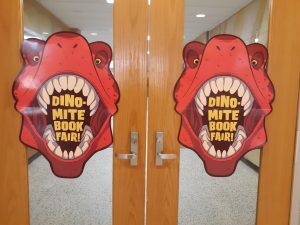 And this year it’s Dino-mite! The first half of the Fair is usually the most hectic in my school. 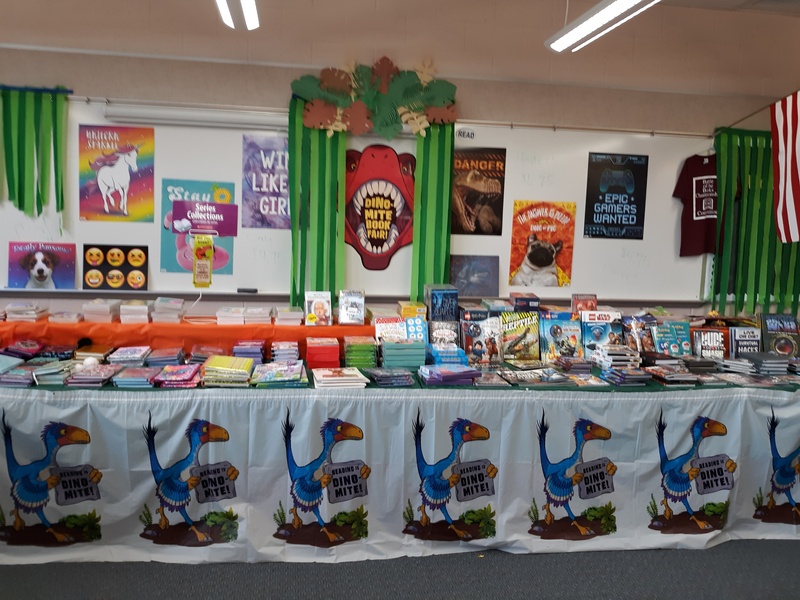 All the classes come in and browse the books so they know what they want when they return later in the week. The middle schoolers take care of themselves, but the younger grades make Wish Lists to take home for their parents to look at. By 2nd grade most kids are able to do the lists themselves and we only have to make sure they are including all the necessary information. There’s also a shift in the lengths of the lists in 2nd grade. While the little kids would put every book the see on the list, the 2nd graders are more discerning. They know the type of books they like, and often will read the back cover blurbs before deciding if they want to put it on their list. 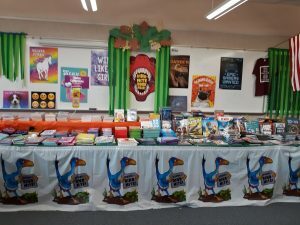 We’ve gotten through the most hectic part of the week, and now comes the fun part–seeing the kids’ faces light up when they buy their books and realize they can take them home to keep. 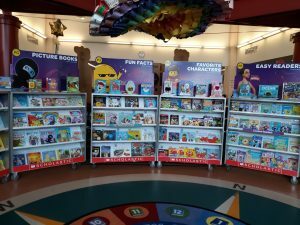 In our school all of the money made at the book fair funds the library, allowing them to buy new books, repair machines, and other library needs. It is the only funding for these items that they have, so the Book Fair is not only fun for the kids but plays a vital role in keeping the library fresh and interesting.